Brush your teeth. Pick up your socks. Make your bed. Wash the dishes. Life is full of lots of little jobs that arenâ€™t particularly fun to do, but things get ugly if you donâ€™t. Maintaining a website is just the same. Your site may load as slow as treacle. Important functionality might break into a hundred pieces. Your visitorsâ€™ computers may be infected with malware. Your site may be be delisted from search engines. So keep on top of your maintenance. Do it regularly, and it wonâ€™t take long. Everyoneâ€™s site is different, and your maintenance priorities will be different too. Iâ€™ve given you daily, weekly, monthly, quarterly/half-yearly and yearly lists. Feel free to adjust them to your needs. And rather than doing the big quarterly list in one sitting, you may prefer to tick two or three items each month. 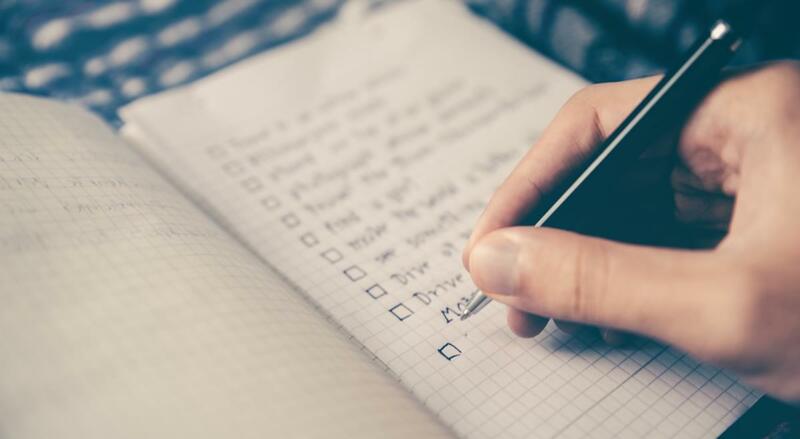 Finally, if you have trouble getting motivated to do your WordPress housekeeping, try a plugin like Maintenance Checklist to streamline things. Thatâ€™s enough talk. Now get to work! Uptime. Visit your site to make sure it is working. If uptime is crucial, you can enable SMS notifications from monitoring services like Uptime Robot, WordPress Monitoring Plugin or Super Monitoring. Backup. Perform a daily offsite backup of the WordPress files and database. Automate this with a plugin like BackUpWordPress, Backup to Dropbox or BackupBuddy. Some hosting providers like SiteGround perform daily backups of your site, so you don’t have to worry about doing it manually. Daily security report. Use a website security monitoring service (like Sucuri) to email you a daily status report, and send an SMS when something suspicious occurs. Check the reports daily, and act immediately when necessary. Comment moderation. Approve any comments in your moderation queue, and check your spam list for false positives. If you get a lot of comments, you should do this daily. Updates. Update WordPress along with your plugins and themes if new versions are available. SiteGround performs updates automatically for all clients, to make sure they have the latest version. Malware scan. Scan for any infected files or malware. Again, your host can be of extra help here if they perform automated daily malware scans, like SiteGround does. If they donâ€™t, you can use a plugin like Sucuri Security, Bulletproof Security or Wordfence. Visual inspection. Visually inspect your website and check for problems with layout or formatting. Do this with different web browsers, including Internet Explorer, Firefox, Safari and Chrome. View your website from a mobile device to make sure it looks good and is responsive. Verify backups. Make sure that your backup files are going where they are meant to, and performing a restore. You donâ€™t want to discover that your backup strategy is broken on the day you need it most! Analytics. Log into Google Analytics and review trends, referrals and page-flow. Consider how to use this information to increase traffic to your site. Change passwords. Change your password, and have other users change theirs too. Donâ€™t make it easy for hackersâ€”use a strong password. Minimize admin users. Delete or downgrade unnecessary admin users (and delete the default admin username). Hacked admin accounts can do the most damage to your site, so minimize the number. Delete unused plugins and themes. Deactivate and delete all unnecessary plugins and themes, though never remove the latest default WordPress theme. Unnecessary plugins increase your websiteâ€™s overhead and the risk of vulnerabilities. Delete unnecessary files Website clutter can hide vulnerabilities. Check for unnecessary files in your wp-content folder and browse through your Media Library to remove any images, videos and audio files you no longer require. You can use a plugin like Delete Not Used Image or Media Cleaner to automatically remove unreferenced images. Perform a backup before deleting anything! Fix dead links. You donâ€™t want your visitors receiving a â€œPage Not Foundâ€� error when clicking on a link. Find any dead links by using a link checking tool like Broken Link Checker or Link Checker. Veryify your contact form. Send yourself a message using your websiteâ€™s contact form, and make sure you get it. Optmimize your database. Delete any draft posts youâ€™ll never finish, and empty your comment spam. Then optimize your database by running a plugin like WP-Optimize, Optimize Database after Deleting Revisions or WP-DBManager. Speed audit. Use Pingdom or Google PageSpeed Insights to see how fast your site loads. If it takes more than five seconds, consider implementing caching and other measures to speed up your site. Slow sites lose visitors and search rankings. Review your About page. Check your About page for anything that needs to be updated: your contact details, profile picture, mission statement, testimonials. Review your theme and plugins. Check for new plugins that outperform those youâ€™re currently using. Check for new themes that appeal to you and are suitable for your needs. Review your site. Sit down with an impartial friend and let them explore your website. A fresh pair of eyes may find issues that youâ€™ve overlooked. Update the copyright date in your website footer. Webmaster tools. Log into Google Webmaster Tools and resolve any error messages. For awesome WordPress hosting, we recommend SiteGround. SiteGround takes care of many WordPress maintenance tasks for you, including automated core and plugin updates, daily backups, and SSL certificates for free in every plan.